Meet Princess Lexi who’s staying with us for a few days. 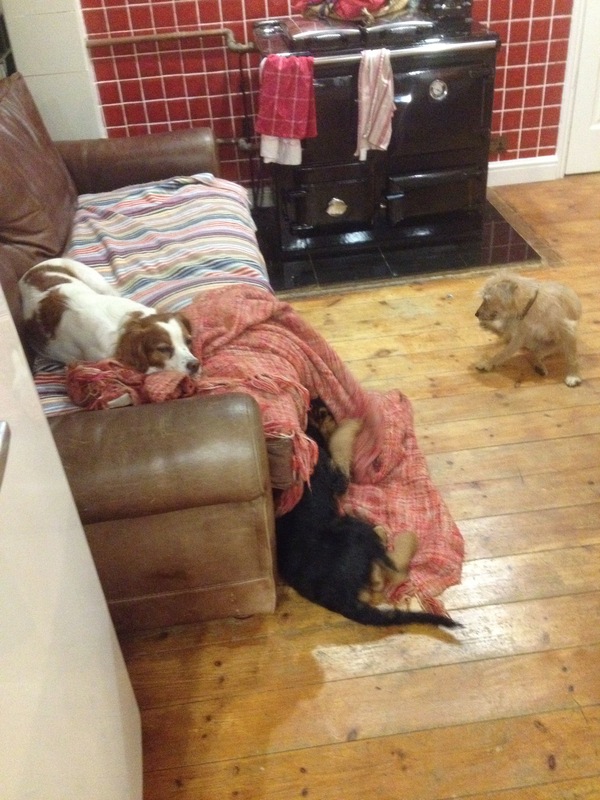 The three dogs have reached some sort of equilibrium – our two do a lot of rough and tumble which she disdains. She has her eye on her food bowl and lead ever hopeful that we might go out. Even though it’s 6.00am and pitch black. 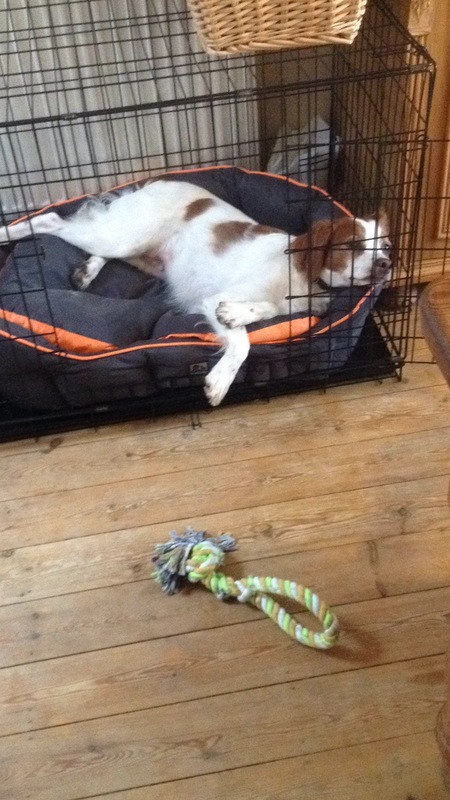 The dogs have just had a breakfast of scrambled egg and stale bread – it’s for Doug really as he’s still growing (oh my is he still growing) – but they’ve all waited while I stir and it cools and then they wolfed down a worthy breakfast. They get on well.Feeding began as a fox, chicken, seed situation – you know when there’s a river to cross and all three need to travel, but only two can use the boat at once. Fox and chicken together? No. Chicken and seed? No. Fox and seed and then more crossings back and forth to achieve the goal. Well it’s been like that with food bowls here. Separate areas at first then two together and today we managed a civilised breakfast – by which I mean no growling or snapping or naughtiness at all. Not bad for three quite up for it dogs. So what have I learned? To tolerate the mess and toing and froing, and some canine bristling. And to go with the filthy flow a little: don’t tidy up too soon as you’ll have to do it again.